Sterile, disposable iris retractors. Used to gently stretch and stabilize the iris for increased visibility during surgery. 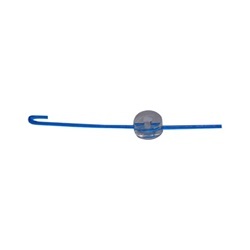 The iris retractor is held in place by an adjustable silicone circle. Sold in set of 5.